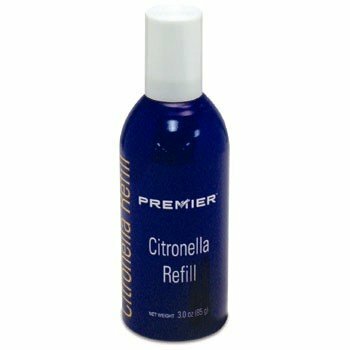 Citronella Refills to be used with Gentle Spray Anti Bark Collar and Spray Commander remote trainer. 3 oz refill can contains approximately 300 sprays. Training Aids, CITRONELLA REFILL CARTRIDGE 3 OZ. The PetSafe Spray Bark Control Deluxe Collar is the safe, easy way to train your dog away from uncontrollable barking. This light, comfortable collar utilizes Nano Technology, resulting in the smallest anti-bark collar possible for your dog. The PetSafe Spray Bark Control Deluxe Collar uses Patented Perfect Bark detection, ensuring that your dog's bark is the only sound that will cause the collar to issue a correction. 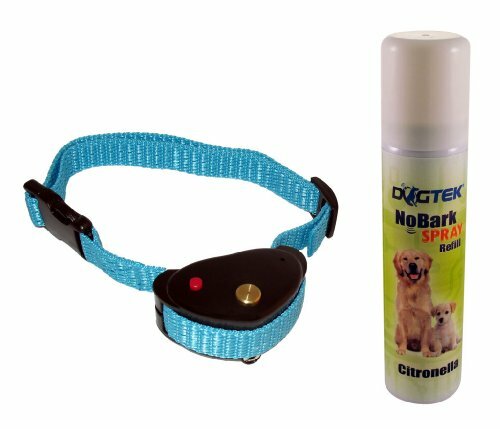 The PetSafe Spray Bark Control Deluxe Collar is simple to use. When your dog barks, the collar will release a burst of lemon-scented spray that you dog will dislike. The spray is not at all harmful to humans or animals and dissipates quickly. This blast of lemon-scent will help prevent your dog from uncontrollable bursts of barking. 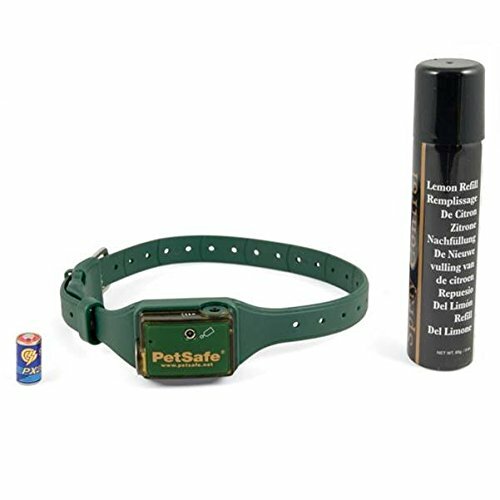 If your pet has a behavior problem related to barking, whether it be late-night noise or scaring strangers, the PetSafe Spray Bark Dog Collar can help you modify and refine your dogs behavior to be quieter and more pleasant. The PetSafe Venture Series Remote Trainer have been proven safe, comfortable, humane and effective for all dog breeds. At the push of a button, your remote sends a signal activating your dog's receiver collar. He receives a safe but annoying stimulation. He'll quickly learn to associate between his behavior and your correction; in no time, you'll have a better-behaved pet. 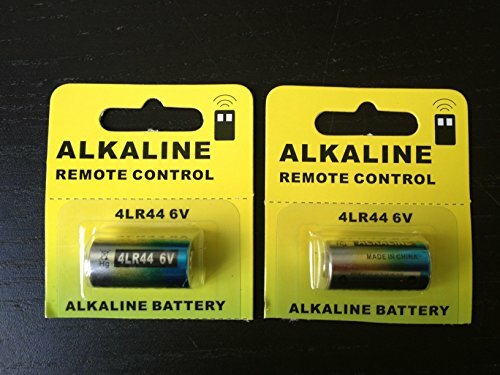 This value Pack includes the complete PBC00-12724 kit with the refill and + 5 extra batteries. 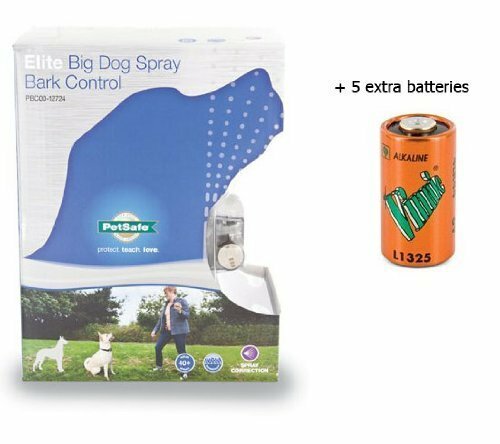 The PetSafe Elite Big Dog Spray Bark Control Collar is simple to operate. 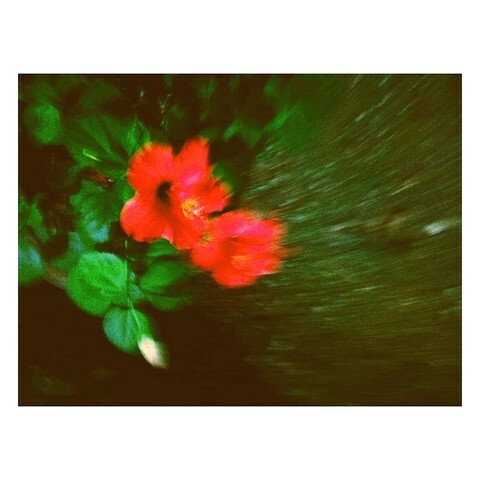 When your dog barks, a burst of citronella-scented spray is emitted, which dogs find unpleasent. While not harmful, it deters excessive barking. Does your dog have a habit of barking at the slightest thing? No more thanks to the DOGTEK NoBark Spray. Effective, affordable, humane: The Hush Puppy sonic bark control collar uses harmless sound to make your dog stop barking fast. The Hush Puppy is more humane than a shock collar and is the only type of electronic dog training collar that works effectively without hurting the barking dog. The Hush Puppy, with its painless sonic bark control technique, is endorsed by veterinarians, animal behaviorists and trainers as the most effective and humane way to end the very serious problem of dog barking. It's much less expensive than a citronella collar, but just as effective. If you're looking for an electronic dog training collar that will make your dog stop barking fast without pain, then the Hush Puppy is the anti barking collar for your dog. You'll be pleased to find such an effective, humane electronic training collar that will quickly hush your howling hound. User-adjustable sensitivity control lets you tune the microphone to your dog's individual voice. Minimizes false triggers. User adjustable output level lets you control the amount of sound stimulus that is just right for your pet. 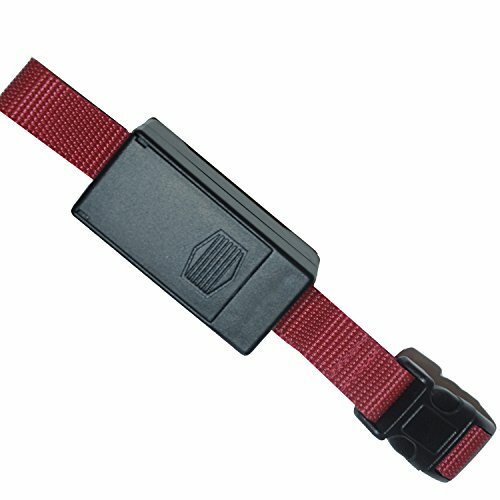 High quality nylon strap adjusts from 5-inch to 24-inch. Lightweight and comfortable on dogs weighing as little as 5-pound. Effective on dogs weighing as much as 200-pound. Operates on a standard 9 volt battery (not included). Pettag ClassicNo Bark, No ShockThe Pettag Classic collar features vibration and sound stimulation, a great, painless way to train your dog to stop barking excessively. The choice of vibration or sound allows you to select the most effective distraction stimulation for your dog to stop the excessive barking without the use of aggressive shocks or jolts. 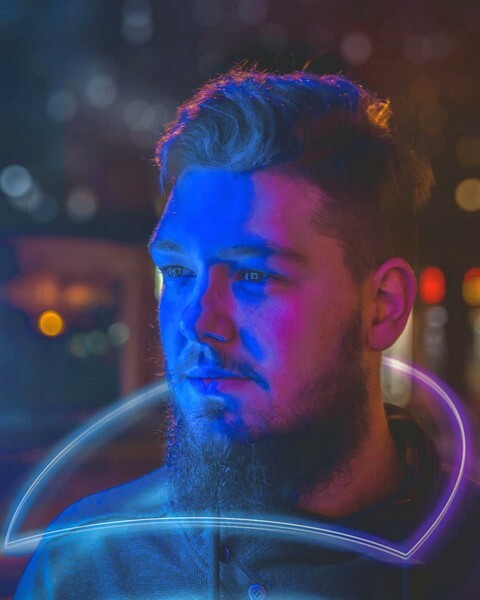 How the collar works is simple. When the dog barks the collar is activated; the vibration or sound then distracts the dog’s attention away from the reason for barking. In the beginning of no bark training, it is also important to give your dog a verbal command to stop barking to reinforce the collar stimulation. Don’t forget to reward you dog with a treat for good behavior during the training. You can set the desired correction level from low to high depending on the type of dog the collar is used on. When using the Classic No Bark Collar, be sure to remove all other collars or tags. The Classic No Bark Collar is made with an adjustable collar strap, ensuring that it will fit comfortably on your dog’s neck. It is a great, effective and economical way to help train your dog and reduce his or her barking. Product FeaturesTwo sizes- Large and small Two modes- Comes with vibration or sound options Two correction levels on small collar- Gives the option of both low and high correctionThree correction levels on large collar- Gives option of low, medium and high correction levelsReinforced collar strap-Makes for a durable and long-lasting collarGreat collar for dogs who learn quickly The Classic No Bark Collar corrects most barking problems in under a month without the use of electric shock or pain. The collars work best when they are fit snug to your dog’s neck. Pet owners are encouraged to praise the dog when it reacts as well as give them a treat to enhance the training. The units are very affordable compared to other units on the market. Although the collars are shower-proof they are not waterproof, so do not leave your Pettag Classic Collar on your dog when he or she will be submerged in water for long periods of time. Vibration Mode vs. Sound ModeThe Vibration mode gives you a choice of settings which allows you to control the correction. The larger model has three levels of sensitivity and the small model has two levels. The sound mode releases a high frequency sound that distracts your dog from barking. Both methods are very humane in that NO electrical shock is used. Your dog will learn not bark without ever experiencing pain from the Pettag Classic No Bark Collar.Large Size vs. Small SizeThe Pettag Classic No Bark collar is available in two sizes ensuring a comfortable fit for almost any dog. The Small Collar is suitable for dogs between 8-25 pounds. 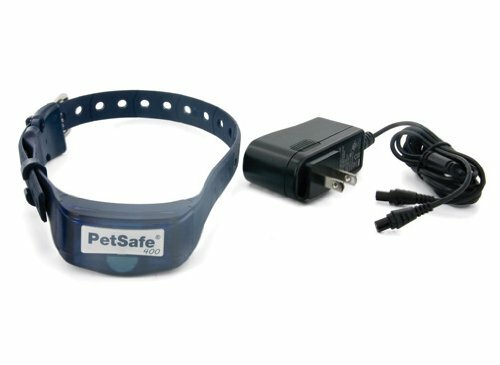 The large collar is for dogs over 25 pounds.Battery OperatedThree LR-44 batteries are included with the Classic No Bark Collar and typically last 30 days, depending on how much your dog barks. Replacement batteries are available (sold separately).The Pettag Classic No Bark Collar will help provide you with a great training method to prevent your dog from barking. 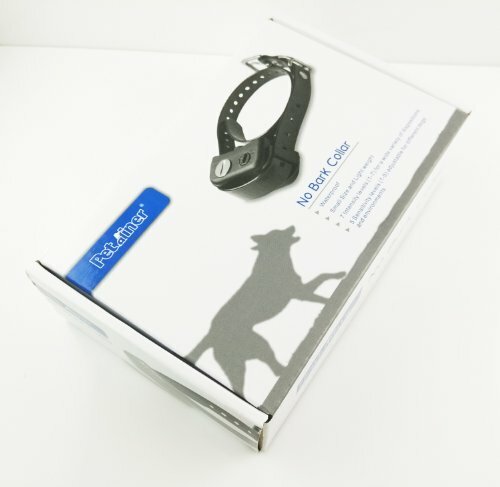 Whether you live in a quiet neighborhood or in tight city quarters, the Classic No Bark Collar is the ideal opportunity to keep your dogs barking to a minimum.The Pettag Classic No Bark Collar is backed by a one year warranty. 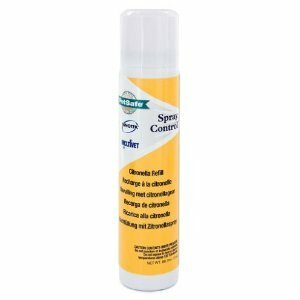 Premier Spray Sense Refill Kit includes two of the Spray Sense Citronella Refill (85gm each)- about 300 sprays that refill canister for All Citronella Systems. It works with Gentle Spray, Spray Commander, Spray Barrier and Virtual Fence products. Approximately 12 collar refills per canister.Also, single 6-volt, Long Lasting Alkaline Batteries. 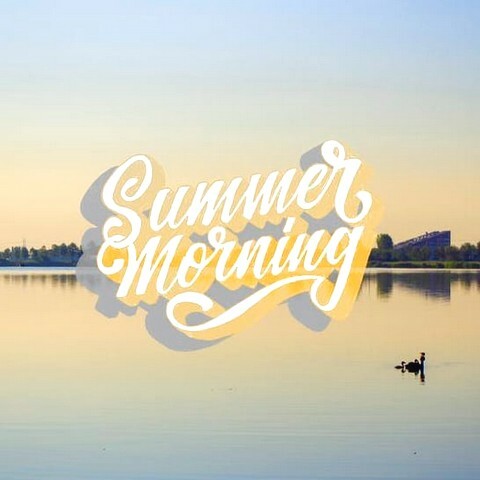 For use in all Premier citronella collar product including the following Premier pet products: Gentle Spray Citronella Anti-Bark Collar The most effective and human solution to nuisance barking. Spray Commander/Virtual Barrier Indoor barrier system that effectively keeps your pet away from off-limit areas inside your home. Virtual Fence Outdoor containment system that gives your dog freedom and safety within your property boundaries without fences, chains or kennels.Buy this exclusive refill kit and save money when you purchase more today.